Should you look for a destination with Gastronomy, Modern Art, Cellars and wine tasting, and breathtaking landscapes … This is the main destination ( called Euskadi in Basque language) ! In San Sebastian let’s discover the king of local Gastronomy : los pintxos ( tapas as we say here)- made of simple but extra fresh local products. You absolutely need to make a tapas tasting in one of the several tapas bar located in the old quarter ( casco Viejo). An enjoyable tapas trip ! In Bilbao, you can be so close from modern art that you’ll feel gifted! La Rioja area and vineyards remain an unbelievable concentration of nice tiny medieval stone villages surrounded by hills and rivers. Last but not least , Navarra province well known thanks to Pamplona Festival immortalized by Hemingway. 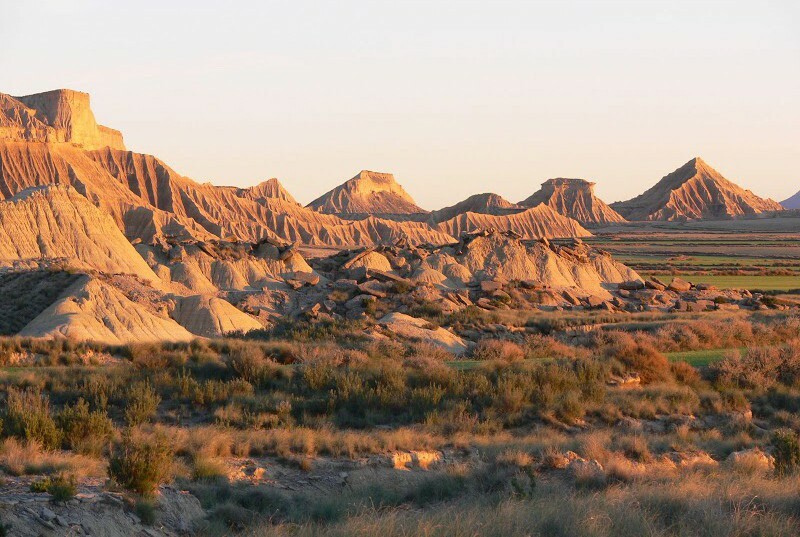 And if you are craving for a desert … the Bardenas Reales are just nearby to try a 4WD tour in a far west atmosphere!